The Friendship Circle exists to bring happiness and companionship to children and young adults with special needs by celebrating their individuality, as well as bringing energy, support, and peace of mind to their families. Friendship Circle extends a helping hand to families who have children and young adults with special needs. Friendship Circle provides a non-judgmental environment that is designed to enhance family dynamics and build friendships through a wide variety of fun-filled recreational programs, sports leagues, support groups and social opportunities. 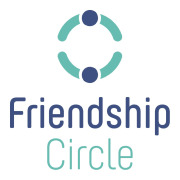 In addition to helping those in need, the Friendship Circle enriches its vast network of teen volunteers by enabling them to reap the rewards of selfless giving. Would you recommend Friendship circle?